We really appreciate the great reviews we receive from our customers on various review websites found on the internet. We know that potential customer use these reviews to decide which landscaping company they are going to choose to create their new landscape. The unfortunate aspect of these online reviews is not all the reviews can be seen as accurate or legitimate. Many review sites do not ask for any information from the person who posts the review so that the review can be verified. Therefore it is quite possible that many reviews you see on the review sites are not actually from customers. They could be posted by friends or family of the company, competitors, or even the company employees themselves. The only review website we know of that requests important verifiable information from the customer that we know of is The Better Business Bureau. The Better Business Bureau will not post a review until it has been verified. As well, the Better Business Bureau has a rating system that rates companies based on the amount of time they have been in business and weather nor not there have been complaints against the business. Customers can call the Better Business Bureau and speak to a representative to make a formal complaint. So the ratings you see on the Better Business Bureau are real, verified and based soley on real reviews from real people. Our landscaping estimates are detailed and include all your requests, and we address all your concerns. We break down all the landscaping components separately , materials and labour are included in each estimate. We will answer all your questions clearly. No grey areas, no hidden costs. We are proud of the reputation we have earned as a caring company who keeps our promises. The landscaping reviews from our customers reflect the sincere effort we make to ensure our customers are very satisfied with our work. It is our objective to leave you with an excellent opinion of our company and our employees. Have a look at some of the landscaping reviews below to learn what our customers are saying about us. Awesome service!! Definitely exceeded my expectations actually finished the work early. 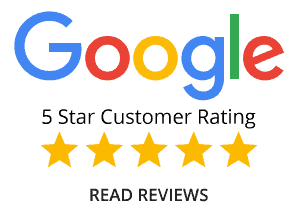 Dave and his staff were extremely polite and professional, I had no qualms going to work and leaving them with full access to my property. Dave always promptly returned all my phone calls, even after I PAID HIM. I know very little (if anything) about landscaping and had to rely entirely on Dave’s design and recommendations, thank God I did!! I don’t know who likes my landscaping more, me or my neighbors. I will definitely continue to use Chinook landscaping for my landscaping needs and strongly recommend Chinook landscaping to my friends and colleagues!! I consider myself a very satisfied customer of David Abbott of Chinook Landscaping. His professional and ethical conduct distinguishes him and his company from others in his industry in several ways. First, Chinook/David does not engage in bait and switch quotes. He takes his quotes seriously and delivers the final work for the quoted amount. Second, he discouraged me from adding features that he considered poor value or a waste of money, even though he could have made more on my job by adding those features. Third, David/Chinook will not take deposits or progress payments. When all his work is completed, then David sends his invoice and collects. Finally, David/Chinook is a professional and a man of his word. He concerns himself with the quality of his firm’s work, the conduct of his employees, and delivering what he promises. Exceeded my expectations! Do you want to work with a company where the owner returns your call, provides creative design ideas within budget and ensures the job is done to perfection and on time? David and his team took a bland backyard and turned it into our new outdoor retreat. Thanks again David for a job well done.